Why is crape murder such a terrible, terrible thing? Well, for one thing, it mutilates the trees and makes them look awful in winter. And since crapes take a long time to leaf out (at least here in Tennessee), that means they're looking like death warmed over for about six months. 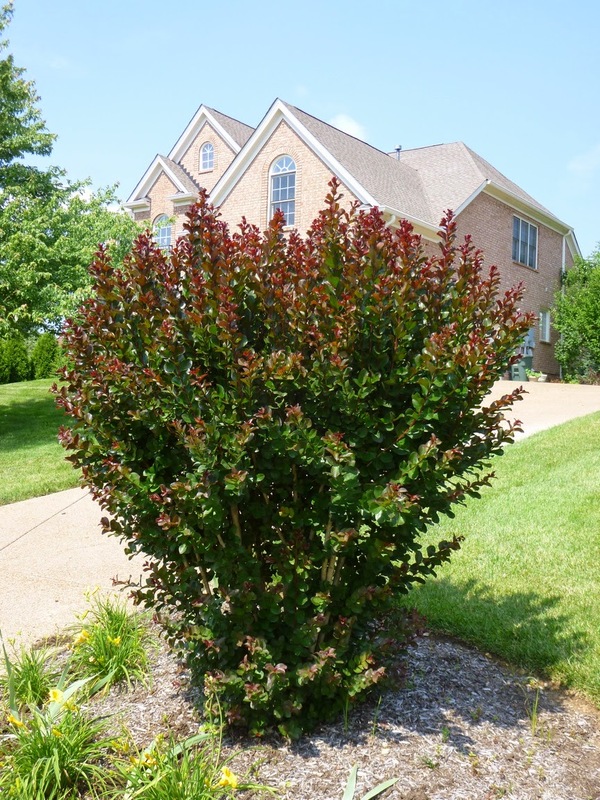 The other reason is that when you have a hard winter, plants that are stressed by brutal, repeated, extreme pruning will often have a harder time surviving and recovering than plants that were pruned gently or not at all. 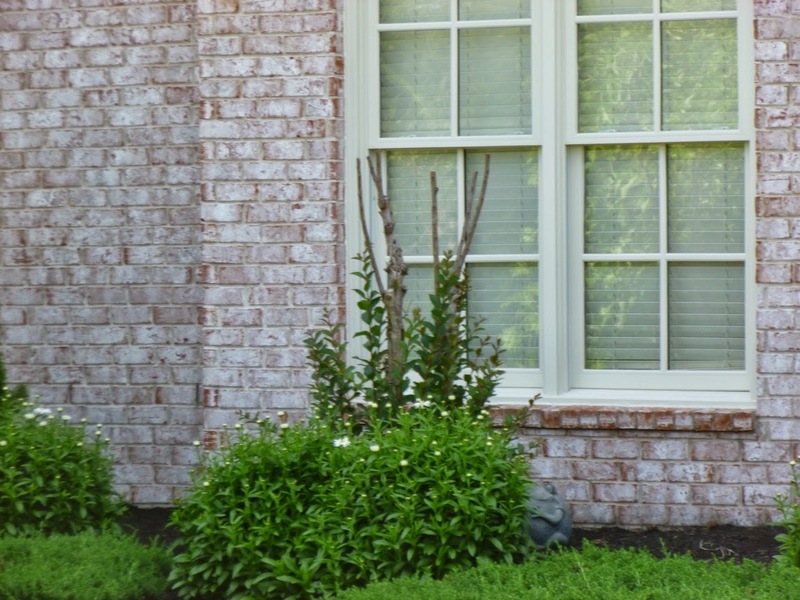 Here is one of our Natchez crape myrtles. Notice how it is fully leafed out and flowering in mid-June. 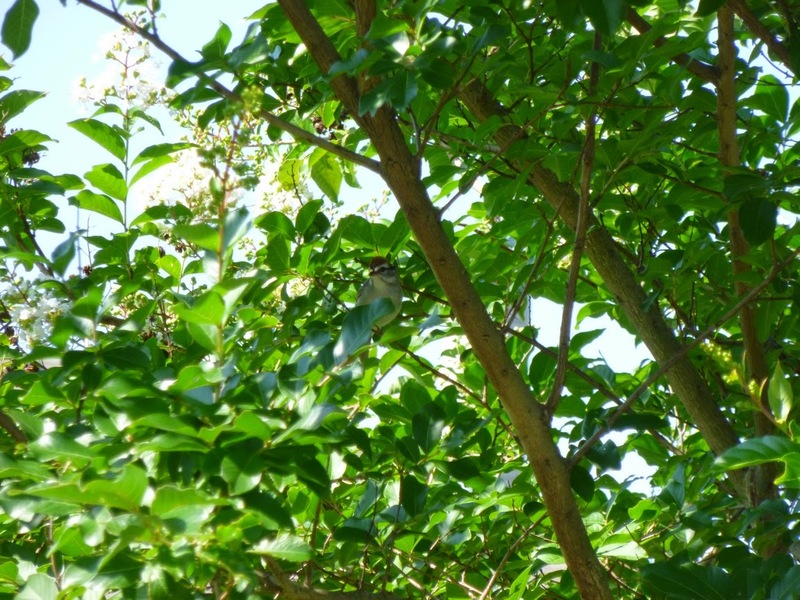 Here's a bird (not sure what kind) that was sheltering in the midst of the crape myrtle foliage on a hot day. 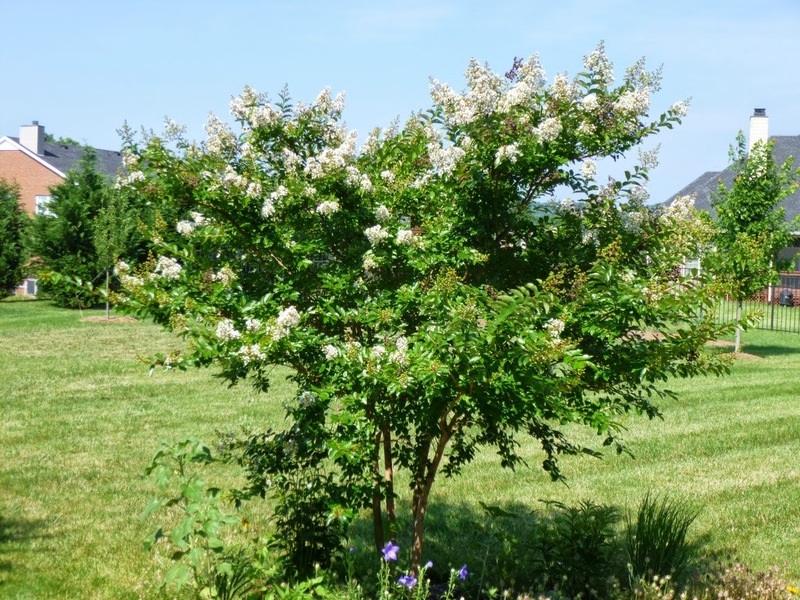 The Natchez crape myrtle in full flower attracts lots of bees. (Not as many bees as the Hypericum, but lots of bees nonetheless.) 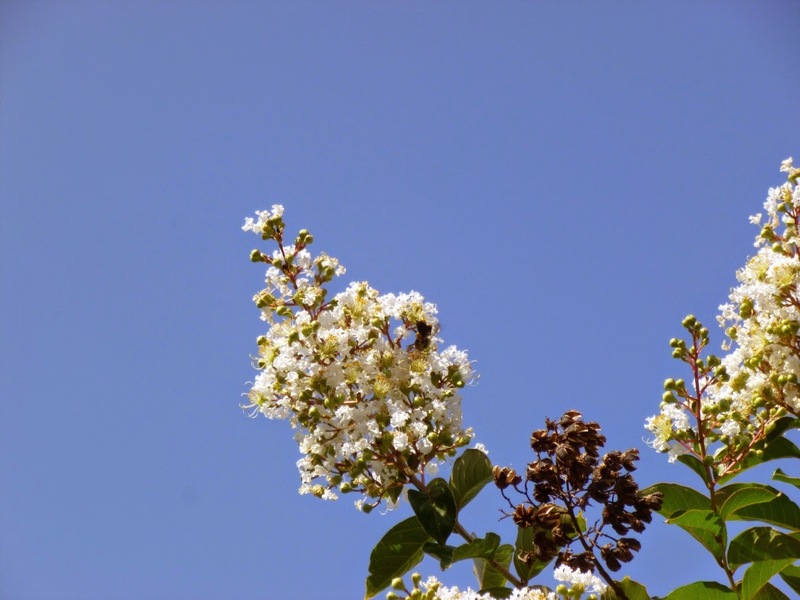 I'm no expert on bee identification, but it looks as though the crape myrtle attracts bumblebees, honey bees and also some smaller native bees. The bees move so fast, that it's hard to capture them in a photograph, but if you look closely, you can see a bee in the middle-right section of the flower cluster in the center of this photo. Now let's check out the murder scenes. 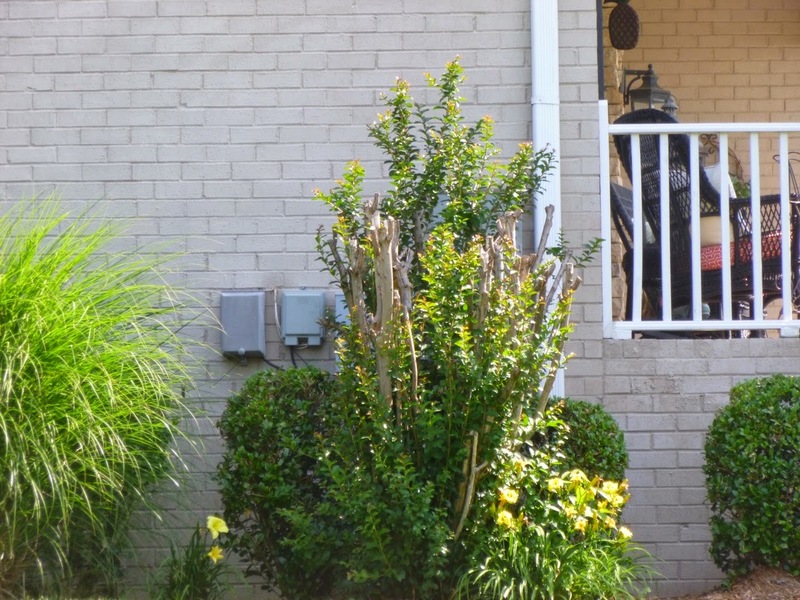 These are some other crape myrtles on our street, also in mid-June. Notice that these crapes all look pitiful. Murdered crape myrtle #4. 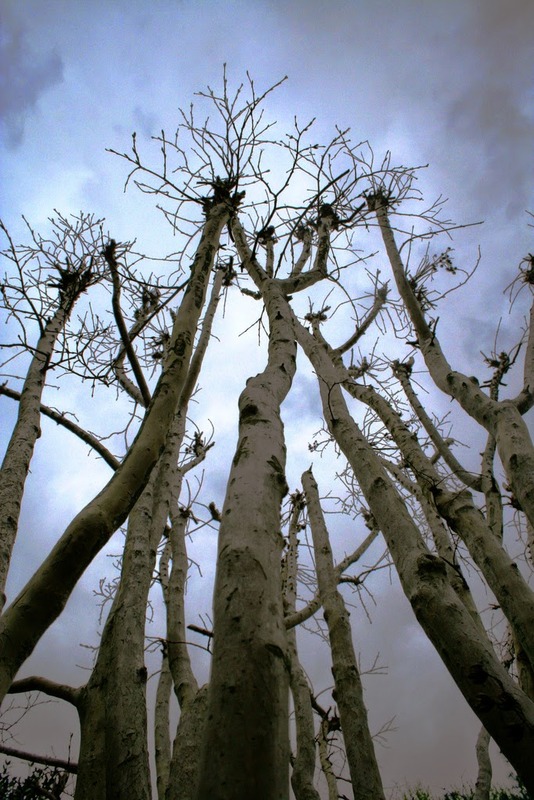 These are probably the most horrifying examples of the results of crape murder. Notice that these are older crapes that had been heavily pruned (or pollarded) for many years, resulting in the knobby scarred knuckles at the ends of the lopped trunks. In previous years, this strategy resulted in ugly-enough porcupine like growth in the spring. After this last harsh winter, the tree looks to have been killed to the ground. Sadly, it wasn't quite put out of its misery and now must endure the indignity of coming back from the roots, with the new skinny stems looking terribly incongruous among the dead stems from years past. What to do here? As with many murdered crapes, I'd say either shovel prune or cut down to the ground to start over with renewal pruning. 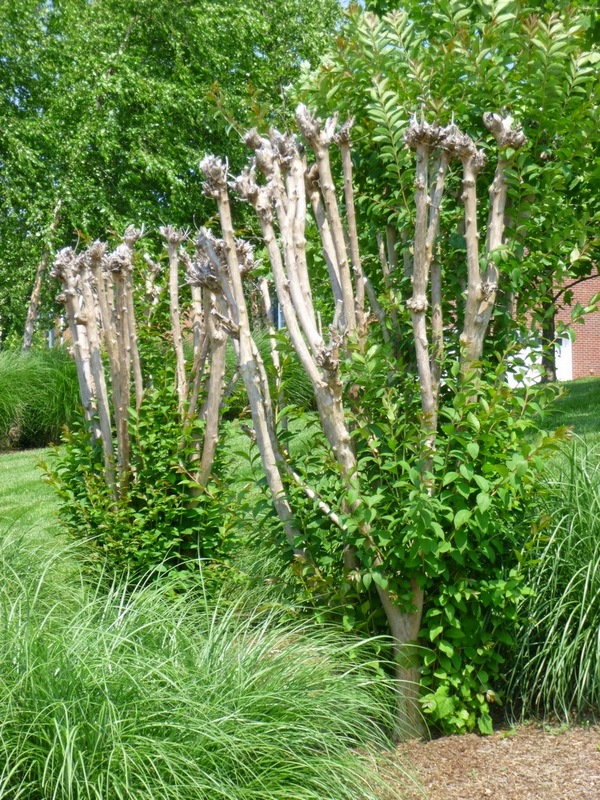 Now I'm not saying that every single crape myrtle will die in a hard winter if it's pruned back severely year after year. It might depend on how many years it's gotten the chop or on whether it's in a sheltered location or how much pampering it gets during the growing season. There are lots of variables. But chopping crapes back year after year is not only a crime against aesthetics, it's also placing the plants at a disadvantage for coping with whatever Mother Nature throws at them. 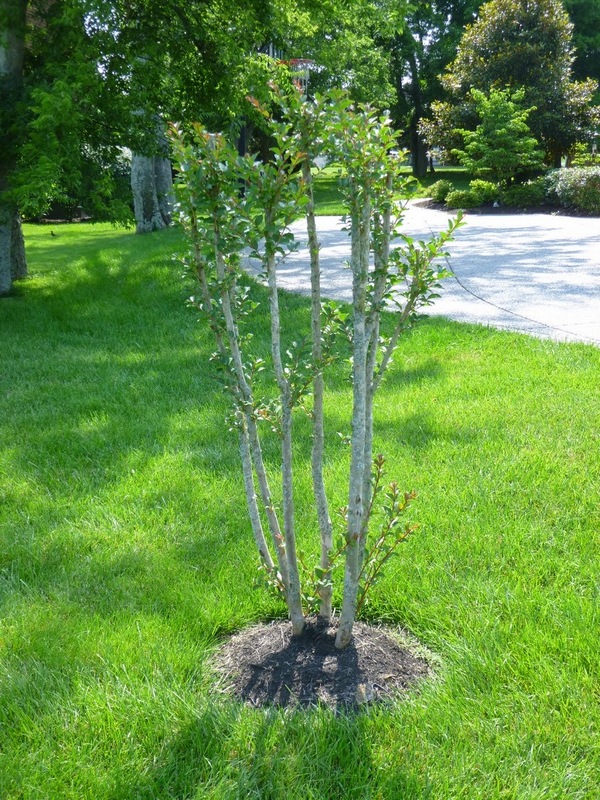 Incidentally, if you'd like a crape myrtle that stays shrub-sized, there are plenty of dwarf crapes that have been bred for compactness. You'll save the time, hassle, waste and/or cost of annual pruning and your petite crapes will look healthier and more natural year-round. 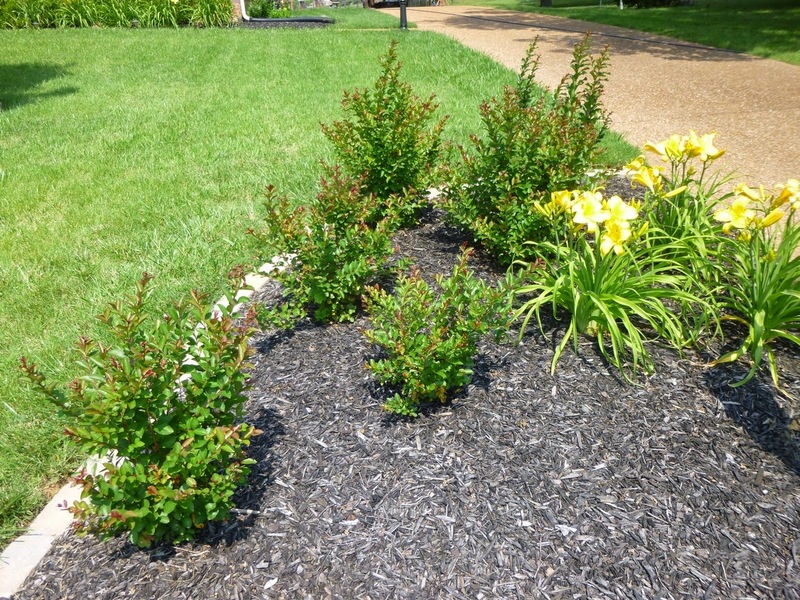 This landscaping bed isn't exactly my style, but despite the excess mulch and the dearth of plants, it's still miles better than the murdered crapes. Presumably these are miniature crapes that have been chosen so that they will not require annual butchering, er, pruning. Incidentally, even some of the "semi-dwarf" crapes could get bigger than you think. Southern Living lists Acoma as a crape that tops out around 10-feet tall, but I've seen some mature Acomas that were probably at least twice that height.